Growth of 2.6% - "faster than any major, advanced economy in the world", according to the OBR. Tax cuts and incentives for the North Sea oil industry. Cut in the lifetime pension allowance to £1 million. Anton Colella responds to the key announcements in the Chancellor George Osborne's 2015 Budget. The battleground is set. The Conservatives claim a long-term economic plan which is boosting employment and improving prosperity. Labour claim we are on the brink of another round of austerity, which will hurt the less well off and vandalise our public services. A Budget of national recovery or a Budget that "ignores the reality of people's lives"? Both sides laid out their messages in the Budget debate. This was the noise of the starting pistol which signalled we're off in what many believe is the most important General Election for a generation. New tax proposals on personal savings. Abolition of Class 2 National Insurance contributions. New city and regional deals to help economic growth. 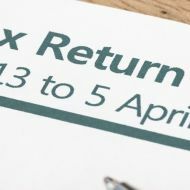 And the traditional tax return, as we know it is dead. In fact, it is being reborn in a digital world. This signals a major change that will affect the tax affairs of 11 million people. It may change the way practitioners work but it won't change the need for the expertise and guidance of professional advisors. Over the next few days our Technical team will be poring over the small print and will provide you with analysis as further details emerge. As we do that, the political campaigning will begin in earnest. What will ICAS be doing? Last week, ICAS met the manifesto writers of all the main political parties sharing our final ideas, which we think they should tackle in their political pledges and act on if they form the next UK government. Fixing the long term sustainability of the pensions system. Extending regulation of accountants to all those who advise on accountancy and tax. Look out for more on these issues in the coming week. Now that the election battle is underway we look forward to playing our part for our members. 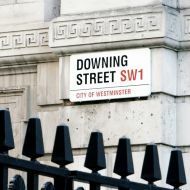 Next Wednesday at One Great George Street in Westminster, we will join Kirsty Wark who chairs an ICAS General Election Breakfast with four senior politicians - David Gauke MP (Conservative), Steve Webb (Lib Dem), Gregg McClymont (Labour) and Stewart Hosie (SNP). Please join us to hear the heartbeat of the political debate. Of course, we won't really discover if anyone's argument can win enough support to form a Government until the votes are counted on the morning of May the 8th.